Susan loved school. Mostly, she loved chit-chatting her way through the school day. She was a talker, bubbly, and full of energy — so much that we met because her teacher sent her to my office for talking non stop in class. Our bubbly first grader, couldn’t focus, wouldn’t listen, and didn’t engage in what she needed be doing. She was more interested in being entertained and boldly pursued anything that smack of fun or game. Even as I arranged a conference with her teacher and parents, she chatted away about little nothings. Smart, competitive, fun loving Susan, I learned , held all the keys to her own troubles. Her family needed to let her start using these keys herself, stop opening all the doors for her, and carrying her through them too. The problem was Susan was the baby of the family and everyone treated her like one. She had no responsibilities, no chores, no accountability. She never took her own dishes from the table to the dishwasher, or hang up her own coat. Her mom picked up after her and cleaned her room when it was a mess. Her sister took over even the simplest of tasks after Susan competitively fought with her about them then gave in and gave up. Susan’s dad talked her through her catch-up assignments in reading and math and did more and more of the work himself. Susan, meanwhile, poured her boundless energy into games and chatting herself into and out of trouble. What’s important is not what you do for your children, but what you teach your children to do for themselves. Goal is to encourage and value competence. Owning up to responsibility begins at home. So many children who fail to own up to things in school aren’t being asked to at home either, and their parents are not making the connection. I discovered this early on in my education career, when meeting with parents about a child’s lack of motivation or inability to work independently. I’d always ask the parents what household chores their children did independently at home. The answer through the years and across the country was always the same—very few or none. Sadly, doing something a four year old can be relied upon to do without prompting is hardly a chore. In the span of one generation, the important principle of children taking on responsibility with regular chores at home began to vanish. A forty year Harvard study started as an effort to understand juvenile delinquency studying the lives of 456 teenage boys from inner city Boston. What happened to them as youths and what were the effects decades later? “Boys who worked in the home and community gained competence and came to feel they were worthwhile members of society,” discovered Dr. George E Vaillant, who headed the research. In contrast, the boys who didn’t have any responsibilities at home or in the community not only felt poorly about themselves, but fell into trouble or caused it. Strengthen family ties because active participation creates belonging, unity, and acceptance. 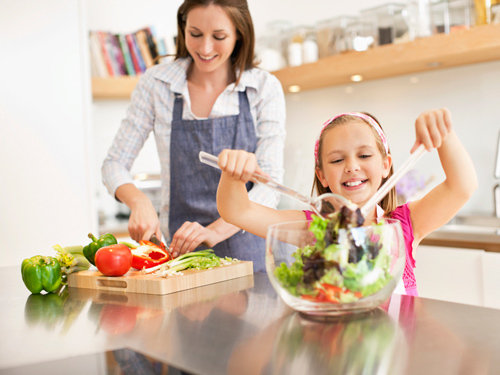 Develop domestic skills like cooking, cleaning, and doing laundry that help kids as they grow , function, create order, and maintain health and hygiene. Create a strong work ethic, essential for academic success and making contributions to society. Foster self-discipline by teaching planning and perseverance. Nurture compassion and service by practicing care of others. Research from the University of Minnesota found that children who begin chores at three or four years of age were more likely to have good relations with family and friends, to achieve academic success and to be self-sufficient compared to adolescents who didn’t have chores until teen years. Teach the lessons all around you. 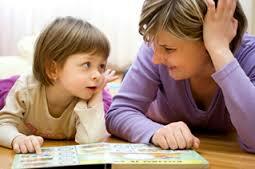 Capitalize on young children’s tendency to be helpful. Rule clean up your own mess. Kids love to learn to prepare food and to cook. A visit to the supermarket can be an interesting learning experience. Balance the child’s need with support with the child’s need for independence and autonomy. Balance between age appropriate responsibilities and age-appropriate privileges. Example homework scenario – what can they do themselves? Where do they need help? Avoid being over involved and intrusive.